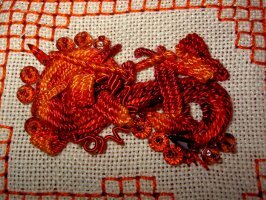 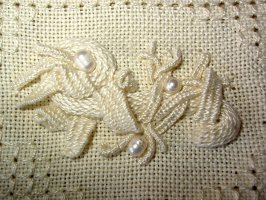 An Italian technique that offers the best of both embroidery worlds - in other words, a regulated four-sided counted stitch plus texture, which comes in the form of a Padded Raised Stem Band, picots and buttonhole bars. 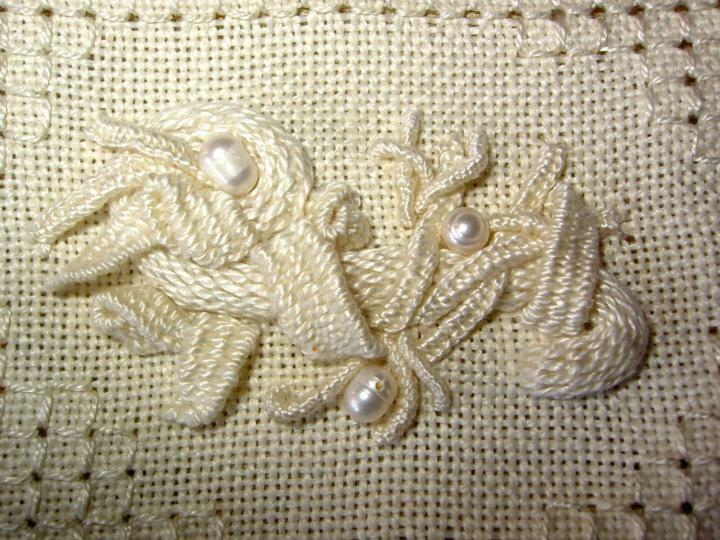 The aim of this workshop is to make a pretty needle case, giving you something that is practical, but also keeping the excitement of texture and shape. 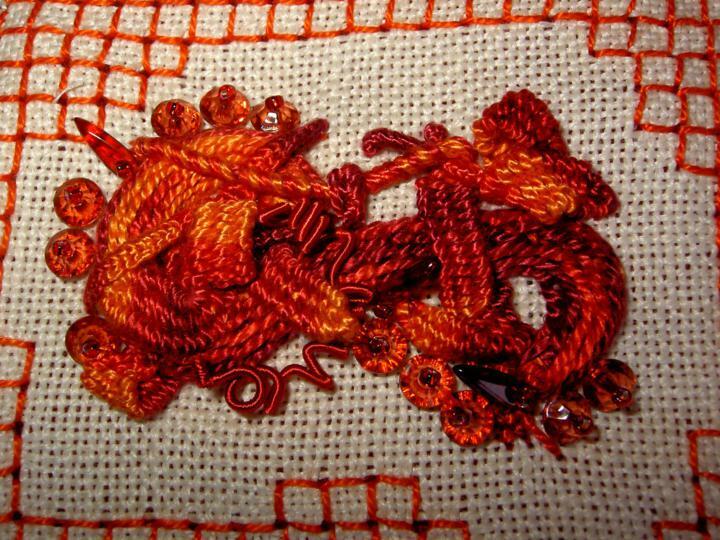 Traditionally, the Casalguidi technique is worked "self-coloured", but as you can see, the traditional white, and the modern contrast colour in red, produce equally satisfying results.